Amidst the media & invitees from across India, King Khan unveiled the music of Ra.One in truly ‘KING’ style at Film City, Mumbai on Monday, 12th Sep. Shah Rukh Khan, Kareena Kapoor, Arjun Rampal, Vishal-Shekhar and others captivated the heart of audiences with their stellar performances. 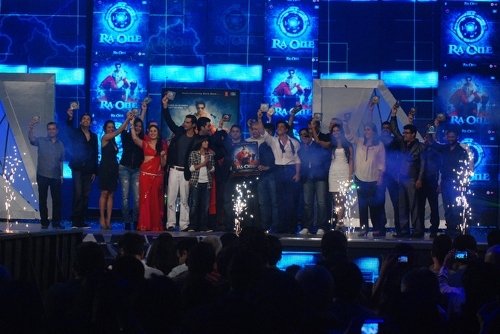 One of the many firsts that Ra.One marks is this magnum opus music launch event which will be televised and reach millions awaiting to experience it on September 18, across Star Network. 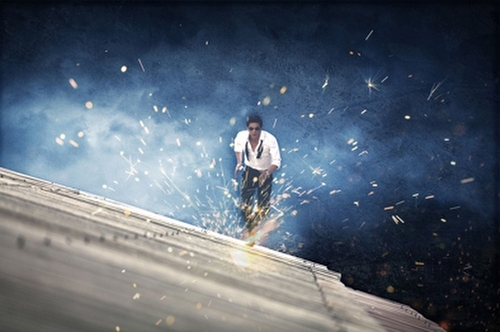 Red Chillies Entertainments’ most ambitious venture RA.One, an Eros International presentation, has been setting benchmarks at every milestone. 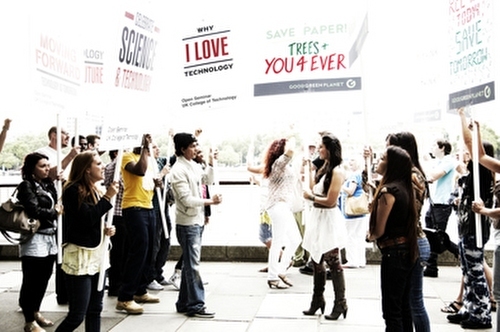 A film close to SRK’s heart has been generating interest for one & all. 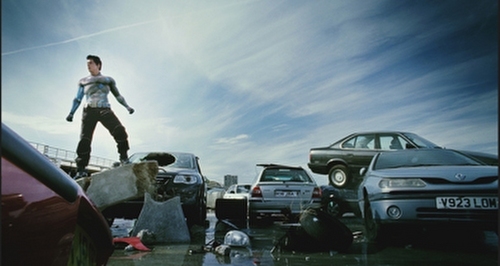 Directed by Anubhav Sinha, the film is arguably the biggest film from India with an unprecedented number of visual effects shots and some seriously jaw dropping stunts. 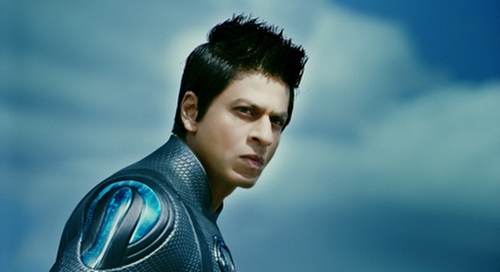 “Ra.One has traversed from being an audacious dream to surrealism. Or am I living a dream? It was a simple story needed to be told through an uncharted terrain. People on the cart, absolute strangers with questions in their eyes. All answers lay in the story I dreamt. Destination defined, distance and degree of difficulty to be explored. Strangers looked in to each other’s eyes and slowly joined hands to take the first step. Five years and gazillion moments later the story begins to unfold. Just three words, Thank You & Enjoy” exclaimed the director Anubhav Sinha. An inspired collaboration under the Eros Music/T-series label and under the guidance of music maestros Vishal and Shekhar, the music of the film ranges from adrenaline pumping superhero themes to feet thumping club tracks in the voice of Akon to a soulful thumri-rock fusion and ‘Dildaara’ our ode to a classic. Not to forget the beautiful orchestral productions from Prague. “This album is one of our best ever. It's complete, it's innovative, it's hooky and yet beautiful. It's also built for the biggest film of all time. It's grand in every respect, from the kind of songs we have on it, to the collaborations that feature on it, whether with Akon or the Prague Philharmonic Orchestra. It's also one of those rare records that we've been working on, living with and listening to, for more than a year now, and the songs have only gotten better for us. We hope everyone who hears it, will love this music as much as we do” exclaimed exuberant music duo Vishal-Shekhar. As a special treat to listeners, Ra.One's music album under Eros Music/T-series label features the hugely popular track ‘Chammak Challo’ as well as three remixed versions of the song. Ra.One hits cinemas worldwide this Diwali.